As we age, the effects of gravity become more noticeable. In the face, the supporting tissues of the cheeks weaken, facial fat is lost, the jawline that used to be firm and tight forms jowls, corners of the mouth drift downwards, and the lower face and neck sags. 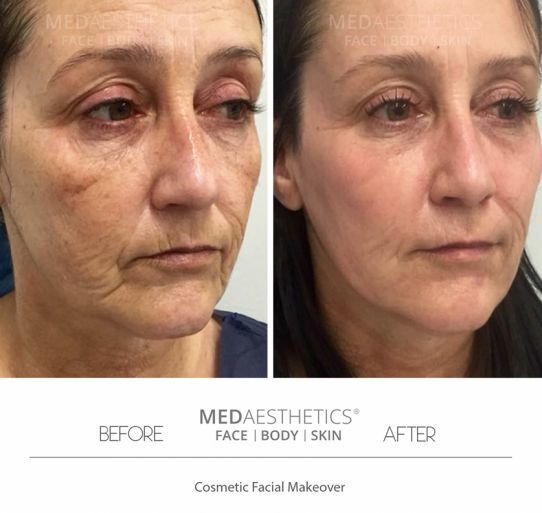 At Medaesthetics™, we offer minimally invasive thread lift procedure to patients in Perth who are suitable for this technique of facial rejuvenation. A thread lift is a delicate cosmetic procedure that gently lifts sagging facial skin, returning it to its original contours. It can be a less invasive alternative to a surgical face lift without the cost, potential risks and downtime. Dr Jadoon is the national trainers for Promitialia® Threads and has successfully performed hundreds of thread lifting procedures in Perth and Sydney using Silhouette Soft® & Promoitalia® threads. Various thread lifting procedures have been trialled for many years with variable outcomes and somewhat suboptimal clinical results. Why is that? Thread lifting was introduced several years ago using barbed threads made of non-absorbent surgical materials. Results were variable, with occasional rapid loss of correction, as the threads lost their “grip” on the tissues they were put in place to support. This was due to incorrect placement of threads in the skin and inherent flaws in the suture material used. Many doctors performing the earlier procedures were not properly trained and it took them a while to gain the necessary experience to iron out potential complications associated with this technique. The permanent nature of threads meant that they were not absorbed by the body and remained in the tissue indefinitely, causing all sorts of problems in the long term. Absorbable Thread lifting is a new technology compared to the older style permanent threads. How does this technology work? Invention of absorbable threads in the last few years has given cosmetic physicians a new and valuable tool. Ever since its introduction to the Australian market, the thread lifting procedure has become more reliable with greater patient satisfaction and results and very few complications. Revitalise and lift the jowl area. Can absorbable Threads be combined with other cosmetic treatments? At Medaesthetics®, we rarely use a thread lift as a stand-alone procedure. We routinely combine Threads with dermal fillers, fat transfer and skin resurfacing procedures as part of our non-surgical makeovers. Most patients report longevity of up to 3 years. Due to the absorbable nature of threads, more threads can be inserted at any time to maintain the results over years to come. Suitable candidates for a thread lift procedure are those who are experiencing mild to moderate sagging of facial tissues, usually those in their early to late 40’s. These patients do not want or are not ready for surgery but want something more than what cosmetic injectable or skin resurfacing/skin tightening procedures can offer. Patients with heavy jowls, excess skin and or excess facial fat, which may require surgical removal. Patients with significant facial hollowing/volume loss. Those with any medical contraindications. Absorbable thread lifting is performed under local anaesthesia as a walk-in walk-out procedure in under 60 minutes. Most patients tolerate the procedure really well and are often surprised how quick and easy it is to have it done. Threads are inserted deep under the skin using fine needles and there is no cutting or stitching involved. Threads are not visible on the skin’s outer surface. Most patients can go back to work the same day. However, some patients may require a supportive micropore tape applied on top of the skin to take the pressure off the threads and help them settle in place for first 3 days. Thread lifting is often combined with other non-surgical procedures likes dermal fillers and laser skin resurfacing for a complete non-surgical makeover. Prices depends upon the number of threads required to achieve the required results and can cost between $2500 to $4500.